Are you looking for a fun family outing close to home? 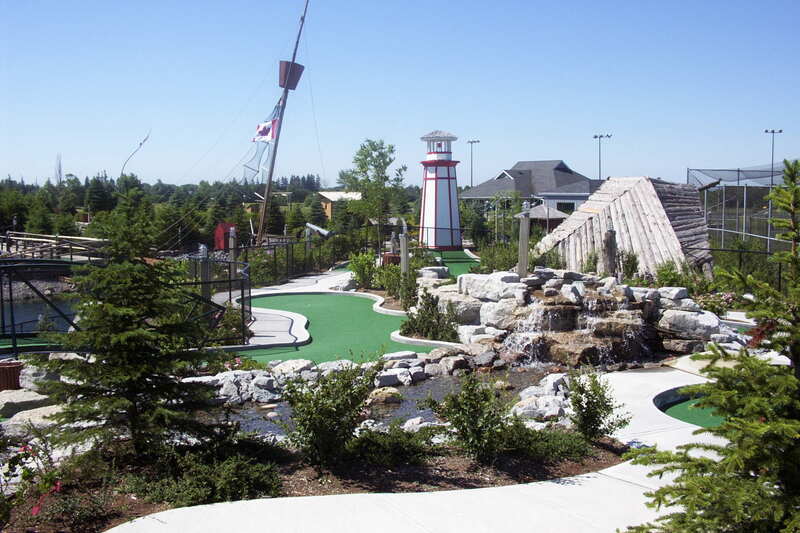 Come to Timber Creek Golf in Stouffville, where your family can play all day! A beautiful outdoor recreational facility, Timber Creek has it all! 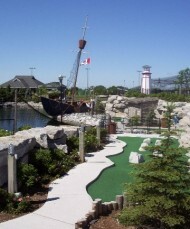 The main attractions are the two amazing miniature golf courses, which draw visitors from across the GTA. They are sure to become favourites for your family. The Logging Camp course takes you on an 18 hole adventure through a miniature logging camp, complete with a churning sawmill, plenty of running water and a pine forest. The Shipwreck course is a challenging 19 holes through a canyon, including a light-house and an amazing ship-wreck. These spacious mini-golf courses surround a beautiful pond and are even more scenic when the lights come on for night time play. The batting cages are extremely popular and include fastball, softball and slow pitch, complete with varying speeds and adjustable heights. The driving range with an extensive grass tee area and a chipping green are perfect for practice or play. Kids will love the mining area where they can pan for gemstones. The large jumping castle and 20ft. inflatable slide provide added fun for the kids. After a fun day, treat the family at the dairy bar featuring Kawartha Dairy ice cream.